We have great news for all of you. We are happy to announce that FX Clearing Group Inc. has been acquired by a much bigger brokerage, Tusarfx Inc.. Tusarfx Inc. is a brokerage affiliated with one of the oldest fully regulated banks in the Russian Federation – Tusar Bank (http://www.tusar.ru/eng). How will this affect you? We have made arrangements with Tusarfx Inc. for our clients to relocate their accounts to Tusarfx. If you take the simple steps outlined in this letter to relocate your account you will be able to trade on the same accounts, with the same passwords and same opened positions, with the same trading terms. Absolutely nothing on your trading account will change for you! Additionally you will get a chance to enjoy perks and benefits that Tusarfx and Tusar bank are going to provide exclusively for the clients of FX Clearing Group Inc. who relocate their accounts. 2. Download the Tusarfx Metatrader4 platform in order to access your trading accounts. Even your password will stay the same. Following relocation of your account, you will be able to withdraw your funds at any time and deposit them directly through the Tusarfx account in the Tusar Bank. Additionally, Tusarfx and Tusar Bank will provide you with the following benefits, exclusively for clients of FX Clearing Group Inc. who relocate their accounts. For more details click here. If, for any reason, you don’t want to transfer your account to Tusarfx – no problem, you just need to close all your positions by 7:00 am server time (5:00 am GMT) on Wednesday, Jan. 9, 2013 and withdraw all your funds. After January 9, 2013 all trading operations of FX Clearing Group Inc. will be closed and no trading on the FX|Clearing trading platform will take place. 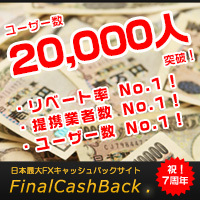 If you do not close your positions by 7:00 am server time (5:00 am GMT) on Wednesday, Jan. 9, 2013- we will have to close them all at that time, after which you can withdraw all your funds from your FX Clearing Group Inc. account at any time. Remember, if you have any open positions that are currently losing money and you don’t want to close them with a loss you may temporarily relocate your account to Tusarfx until you the positions improve and then withdraw funds from there at any time. To summarize: If you relocate your account to Tusarfx nothing will change: you will continue trading on the same account and you will continue to communicate with the same customer support personnel who will also be transitioning to Tusarfx. You will also receive the additional benefits outlined above. We would like to thank you for your business and assure you that we will do our best to make sure that this transitional period will pass smoothly and easily for you. In case you have any questions please contact us via live chat or e-mail address: support@fxclearing.ca. Christmas and New Year: From 22:59 server time (20:59 GMT) 21 December – to 23:59 server time (21:59 GMT) 3 January. Copyright (C)ＦＸ情報商材検証レビューブログ masa！！ All Rights Reserved.